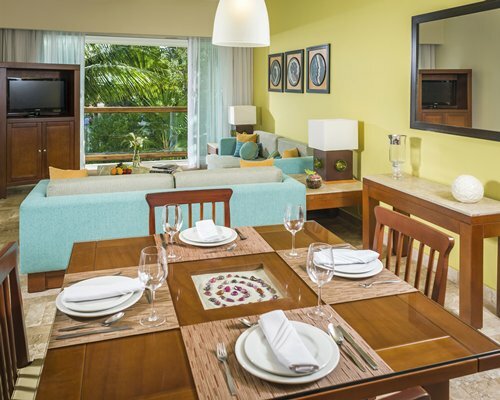 Mayan Palace is located at the exclusive Riviera Maya, just 15 minutes from the town of Playa del Carmen. There you can take the ferry to Cozumel Island. 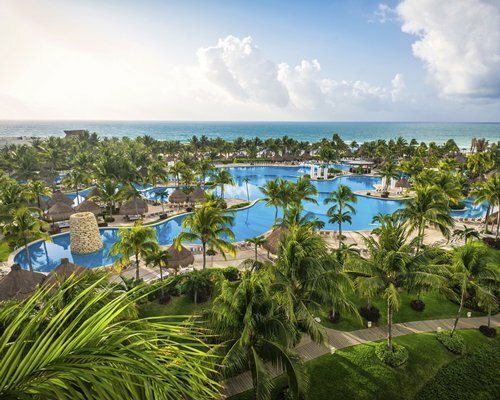 Sunbathe on the white sand beach, or swim and practice your favorite water sport, including fishing in the blue sea. Enjoy a variety of food prepared by international chefs on site. A daily activities program with various tours and additional services will make this your best vacation yet! Golf lovers will find an excellent opportunity to practice on our 18-hole par 54 Jack Nicklaus designed golf course.